Evensville, TN — The Rhea County Lady Eagles Soccer team, fresh from weekend tournament that saw Lady Eagles win two of three games, will host Warren County tonight at 7 pm on Bill Horton Field in as they open district play. The Lady Eagles won wins over Cleveland, Stone Memorial, Knoxville Central, Sullivan Central, Hixson, and Polk County on the year. The Lady Ealges took losses against Signal Mountain in the “Rally in the Valley” Tournament and against Boone County High School(out of Kentucky) in the Smokey Mountain Cup Tournament at the Rocky Top Sports Complex in Gatlinburg, Tennessee. The game tonight, begins a three game stretch against district foes. After the Warren County game, the Lady Eagles will be at home one week later with 7 pm game against White County before traveling to Cookeville for always tough game against Cookeville. That game is scheduled for 6 pm on Thursday, September 20th. 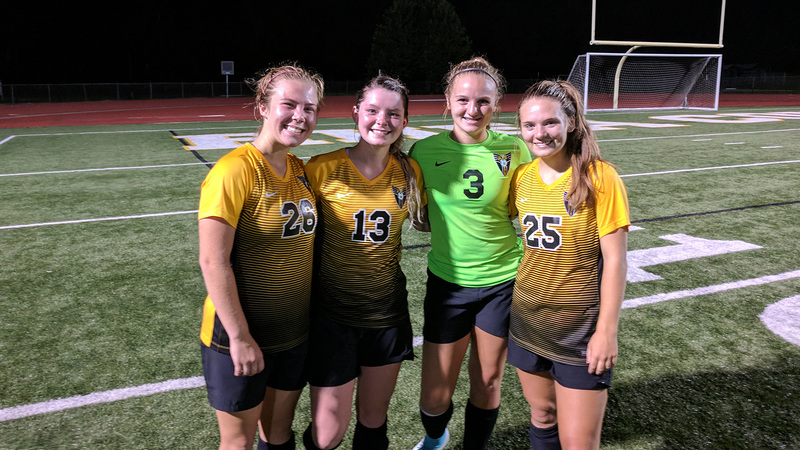 After these three games, the Lady Eagles will have completed 75% of district games, with only the Soddy Daisy game on September 27th on the road left on schedule.